Clip on pull tags that hold tighter with increased pressure. 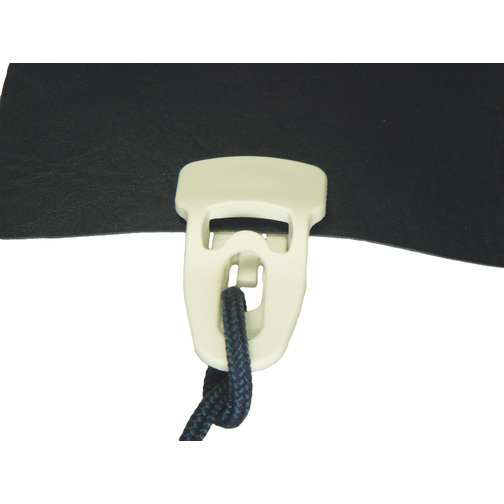 Clip on pull tags that provide an easy way to add tags to covers to improve fitting. Holdon clips clamp fabric between two 'pincers' that apply pressure onto the selected material thus providing a rigid hole to thread rope or elastic through to tighten the cover in slack places. 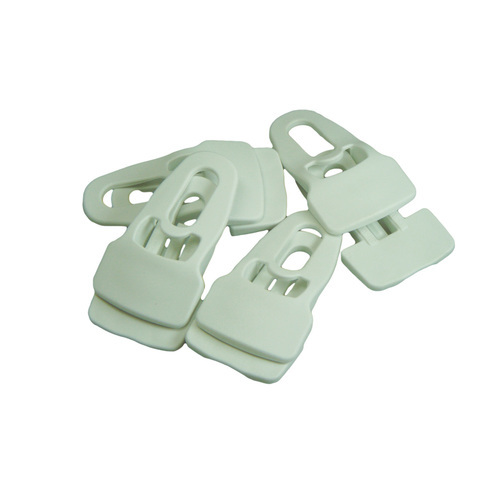 These clips can be used time and time again by simply releasing the catch and re-applying the clip.